Samsung recently debuted its 2012 version of its Series 9 laptop, which is well-regarded among laptop enthusiasts and critics. What is probably the most impressive feature of this new Series 9 are the numbers, specifically in terms of size. The new device comes with a 15″ screen, measures 15mm thick and only weighs 3.7lbs. What makes those numbers impressive is the weight. Not only does this number make the Series 9 the lightest laptop in its size class but it is also lighter than almost every 14″ laptop and even lighter than some 13.3″ models as well. 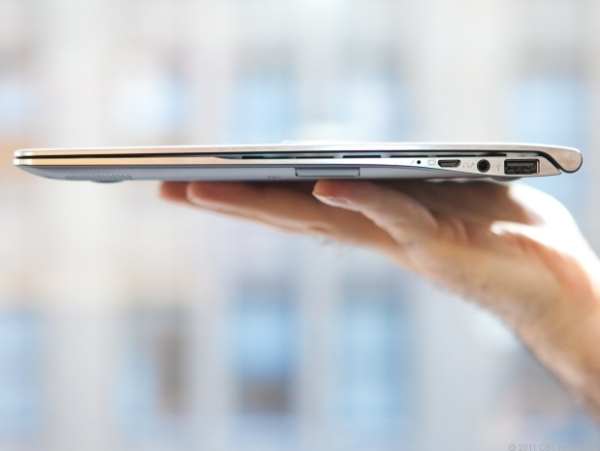 If the Ultrabook market had a 15″ category, the Samsung Series 9 would definitely take the top spot without a doubt. 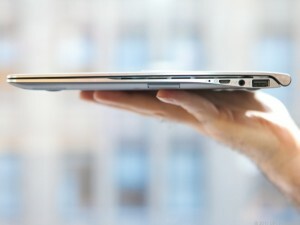 However, the Ultrabook market doesn’t have that size category which makes things interesting for the Series 9. If you are looking for a device that has a lot of screen space and a spacious typing experience, but you don’t want to sacrifice on portability, the 2012 version of Samsung’s Series 9 may be exactly what you are looking for. The device packs a 1.7GHz 3rd generation Core i5 processor along with 128GB SSD, 8GB of RAM and integrated graphics. In addition to that, the screen comes with a 1,600 x 900 resolution and is actually very bright. What’s more is that this device also had some of the best general application benchmark scores for an Ivy Bridge system while still running out a 4.5 hour battery life on a full-screen video loop on maximum brightness. As far as ports are concerned, you won’t be disappointed with the Series 9, especially when you factor in its small size. The 2012 version comes with two USB 3.0 ports, one USB 2.0, SD card reader and micro connectors for HDMI, VGA and wired Ethernet. One of the main complaints that people had with previous Samsung laptops is the clickpad with many people saying that it was sub-par at best. Fortunately, those kinks seem to have been worked out in this version. However, the 2012 version isn’t free of problems entirely. The keyboard has been said to be difficult to use with 15mm being little space to work with and the shallow keys making touch typing difficult. The 2012 Samsung Series 9 laptop is currently priced at $1,400, which may seem pretty steep for some users, though the price isn’t bad for the power that this laptop delivers as well as the thin and light design and the fact that the laptop is pretty aesthetically pleasing overall. Wow!! That’s real PC in the size of a tablet! Nice work Samsung!